L.H. 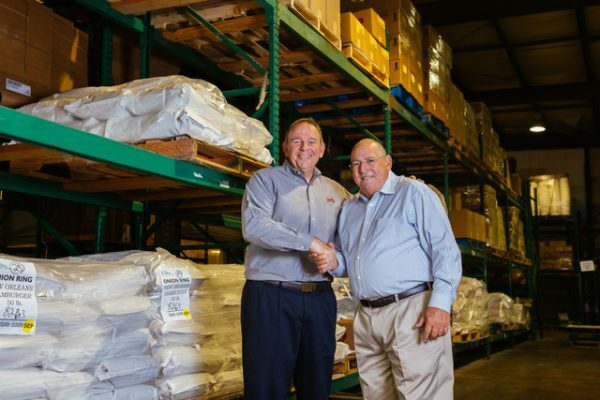 Hayward & Company, 95-year-old packager of the popular Camellia Brand of beans, peas and lentils,has acquired Gulf Coast Blenders, a New Orleans-based company that produces a wide array of dry ingredient blends and mixes for some of New Orleans’ most famous restaurants. L.H. Hayward will take over operations for Gulf Coast Blenders effective immediately. The acquisition of Gulf Coast Blenders is part of L.H. Hayward & Company’s ongoing efforts to expand its legendary portfolio while providing consumers with the highest quality products. Both companies are deeply rooted in New Orleans and are committed to continuing the legacy of its unique and authentic culinary scene. For almost 28 years, Gulf Coast Blenders has been dedicated to producing spices, seasonings, and fish and chicken fry mixes in line with traditional New Orleans cuisine, especially in its Creole roots. Founded in New Orleans in 1923, Camellia Brand is best known for its red kidney beans, used most often in the iconic red beans and rice dish. Camellia Brand red kidney beans are now the top-selling red bean in the country. Camellia Brand packages 19 different non-GMO certified, 100 percent U.S.-farmed beans, peas and lentils thatare washed six times and rank above USDA grade in quality and freshness, no soaking necessary. The family-owned company is dedicated to bringing people together through hearty, economical meals created with their premium products for over 95 years.